Published: 07:50 Monday - November 28, 2016 Da Lat is one of the most well-known destinations for tourists when they travel Vietnam. This amazingly beautiful city always presents in Vietnam tourism map as one of the “must come” names. 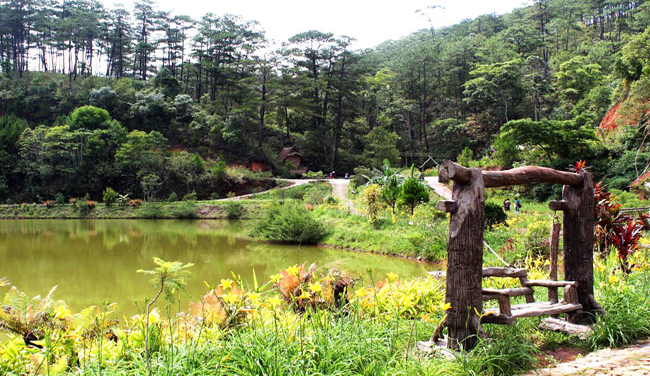 Da Lat is considered as “little Paris” of Vietnam, with Xuan Huong lake, Cu hill, Tinh Yeu valley,Cam Ly waterfall, etc. 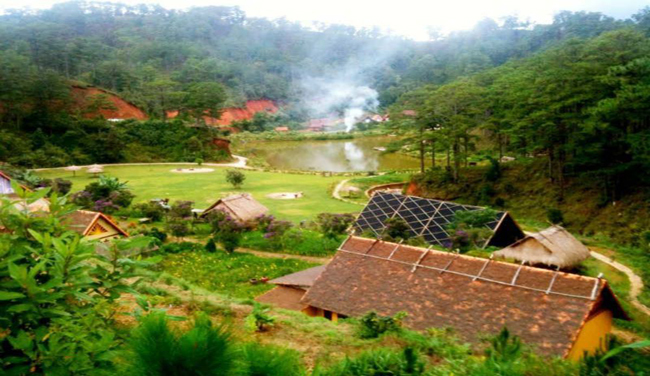 however, over the past few years, Cu Lan village has emerged as an attractive destination, drawing travellers come to Da Lat. Cu Lan is a small lovely village (about 30ha), located under the foot of Langbiang mountain, about 20km from Xuan Huong lake. This beautiful village is covered by a large pristine forest, near a numerous shallow stream. The whole view creates a wonderful green paradise. 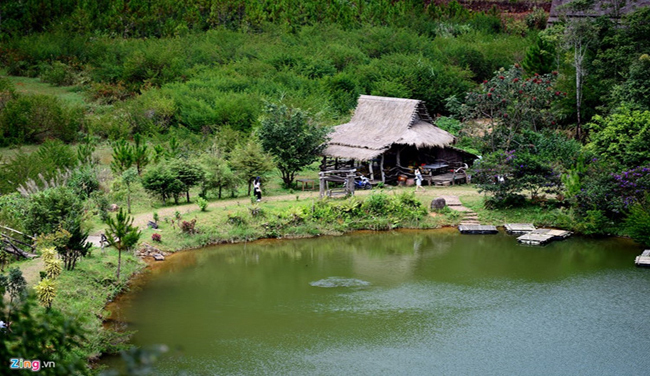 Cu Lan village, established in 1960s, is the base of K’Ho people (an ethnic minority of Vietnam). The plain residents of Cu Lan mostly live by hunting and cultivating. They usually went into the forest and hunted a unique animal called “Loris”. 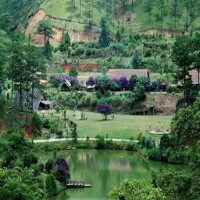 That is the reason why the village has name “Cu Lan” (Cu Lan is Vietnamese name of Loris). Since 2011, the village was developed and invested into a tourism site and immediately became a great attraction. Entering the village, tourists will feel the peaceful, pristine, pure and stunning beauty. You totally forget the tiredness and harmonise with the nature, with green forest, charming pine hill, the babble of the stream, fresh lake, flower gardens and small cute houses. The combination among wild nature, poetic landscapes and exciting daily life of local people will blow your mind away and take your breath. There are a lot of entertaining activities that you can join, such as walking through the village, rowing on the lake, jeep tours, fishing, camping in the wood, riding horses or visiting Chom Hom market. You can also discover and even join cultural activities of K’Ho people, including Tay Nguyen Gong performances, hunting with local people, folk games and dressing traditional costume of K’Ho people. The price of services is not too high. Tourists can stay in timbered houses for some days to enjoy the different life in Cu Lan village.